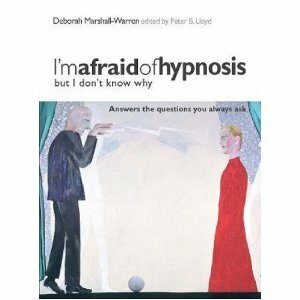 Interactive hypnotherapy with Deborah enables people who are experiencing out-of-order emotions and experiences to discover what is at the root – be it at the root of your anxiety, your panic attacks, your insomnia, or your lack of confidence – whatever the issue may be. You can use hypnotherapy to tap into the Law of Attraction, by gain clarity and focus on what you really want. And … “If you want to be of the greatest value to others, see them as you know they want to be.” (Abraham ‘Quote’ from The Law of Attraction, by Esther and Jerry Hicks. Whatever is on your wish-list, Deborah’s form of interactive hypnotherapy can really shift you towards success and help ring in transformative change for you. You are in control. You get to choose the words or phrases that best reflect your experience of yourself, and then you get to choose as your best inner personal coach, the words and phrases that express how you really, really want to be. These kinds of opportunities to participate illustrate the driving force you play in a session. You can use hypnotherapy as a springboard from which to jump into the Law of Attraction with both feet – being very clear and confident about what you genuinely want. One of the commonest challenges for which people seek hypnotherapy is smoking: hypnotherapy is proven to be, alongside acupuncture, one of the most successful ways to stop smoking. Contact Deborah if you have any questions or if you’d like to set an appointment.